Came to Byrd's End farm in 2008, to be a horse for Sarah to ride. Bandit's racing career came to an end when he was injured. 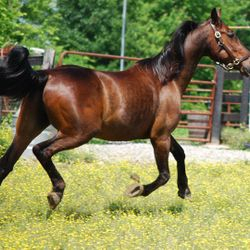 Bandit competes in Showmanship, Trail, Trail in Hand, English Walk-Trot-Canter, Hunter Walk-Trot-Canter, Sport-horse in hand, Costume, and many other 'fun" classes. 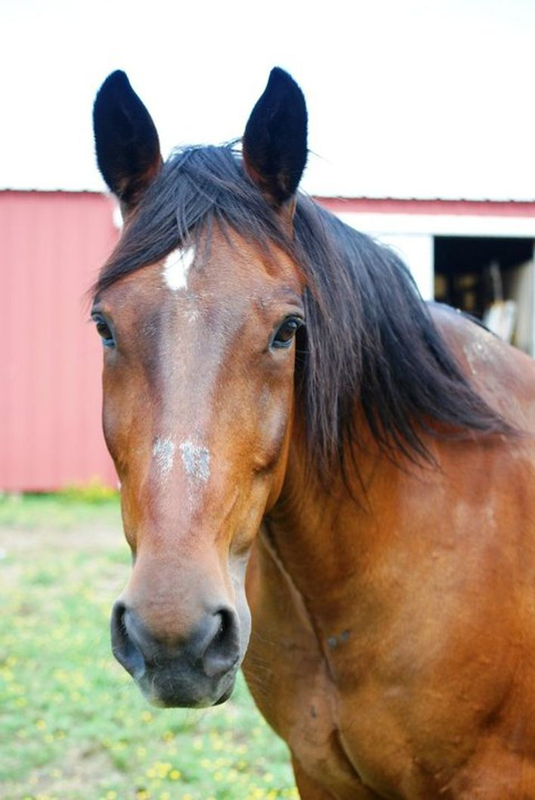 Edge was bred by Jessica Schaaf, out of her long-time brood mare, Special Act. 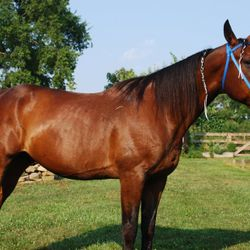 Edge never had the chance to race, as he was injured during training, and Sarah came shortly after. Our beloved Edge passed away in March of 2015. He is deeply missed by us, and by Bandit. AMHA, AMHR Miniature Horse- 32"
Scottie came to Byrd's End Farm in 2011. He has the most heartwarming stories of all of our horses. Scottie was the Bluegrass Miniature Horse Club raffle colt at the KY State fair in 2011, and was drawn by a woman without a trailer, a barn, or any horse knowledge. Sarah offered to buy Scottie for $200, and brought him home that night. A month later, on September 18th (Sarah's Birthday), he was discovered missing- his stall was locked, but no Scottie. He was found shortly afterwards cast in a ditch. He had coliced and wedged him way under the stall door. After a week at the vet, he underwent surgery to fix his compacted intestines, costing $3200. A good lesson for anyone looking to buy a horse. Now, Scottie is learning to become a halter and pleasure driving horse for the upcoming show season. Patrick is the pride and joy of Byrd's End Farm. Patrick is an ambassador to the miniature horse breed, and world renowned. He exhibits the versatility of the breed through grace and poise. He is known for his great, gentle disposition and willingness to do almost anything. 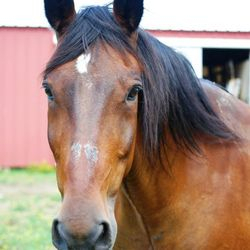 Patrick has been competing at County Fairs, and the KY State Fair for 12 years, and has been to the KY Derby Parade, Georgetown Festival of the Horse Parade, Breyerfest, and the Secretariat festival year after year. For more information about Patrick, please click on the "GTR Patricks Vindicator" tab at the top of the page. Patrick competes in halter, Showmanship, Obstacle, Jumper, Hunter, and costume. he is also in the process of being registered as a therapy animal. Top Gun came to Byrd's End Farm at the same time as Patrick. Top Gun has champion bloodlines, and stellar movement. however, he has always had an irrational fear of bags, which makes taking him to shows difficult as well as dangerous. 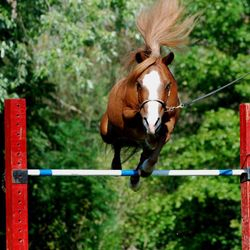 He is currently being trained extensively to overcome this fear, and become a very successful show horse. 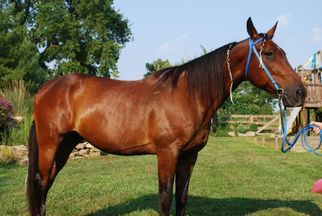 In 2001, Top Gun was overcome by laminitis, which caused his hooves to be deformed. Now, he is too tall to show at any AMHA sanctioned shows, so he is being hardshipped into the AMHR.